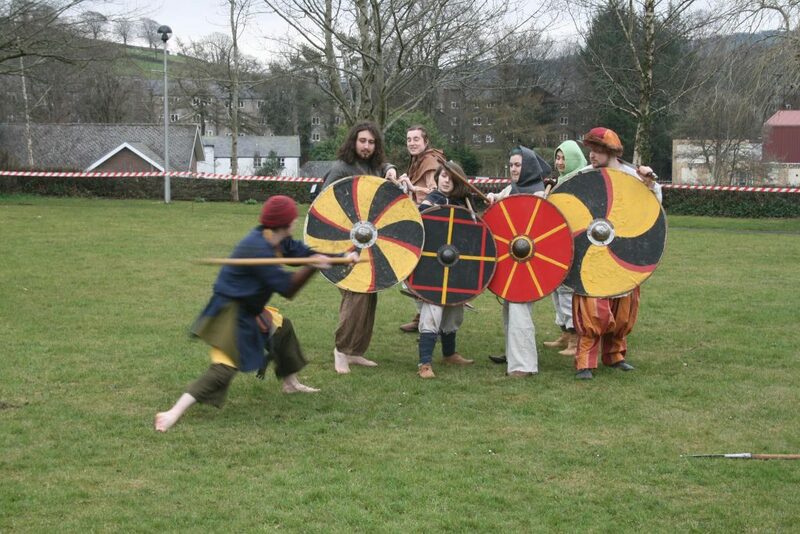 A branch of the national group Regia, our Viking Society aims to recreate the early Medieval period through both living history and battle re-enactment. 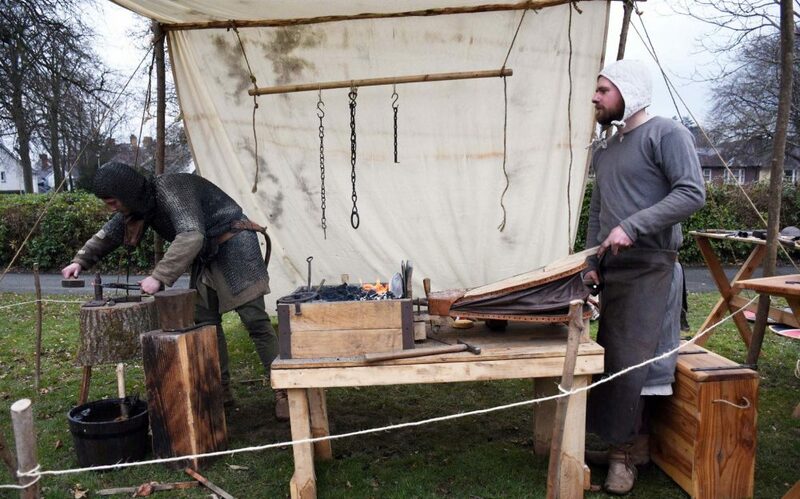 Their displays showcased some of their combat techniques and their camp was abuzz with information about their attire and life among the Danish inhabitants of Britain. 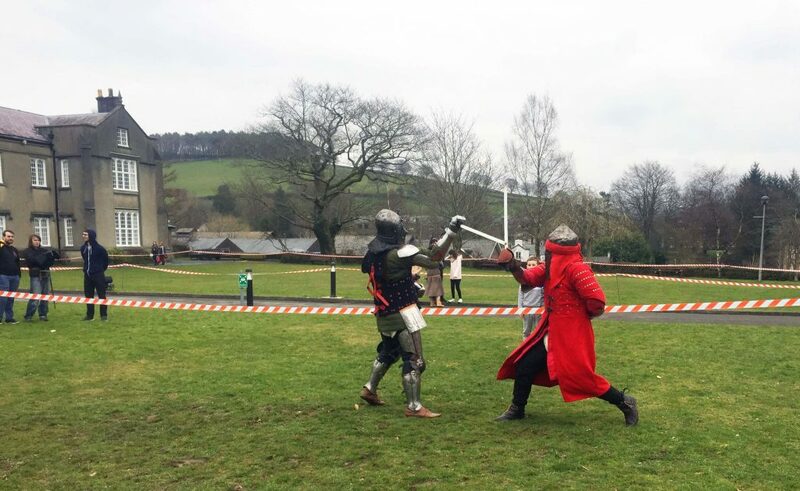 Historia Normannis, the national group the Medieval Society (MedSoc) is affiliated to, also put in an appearance: fighters from all over South Wales came to take part in the battle re-enactment staged as part of their demonstration. 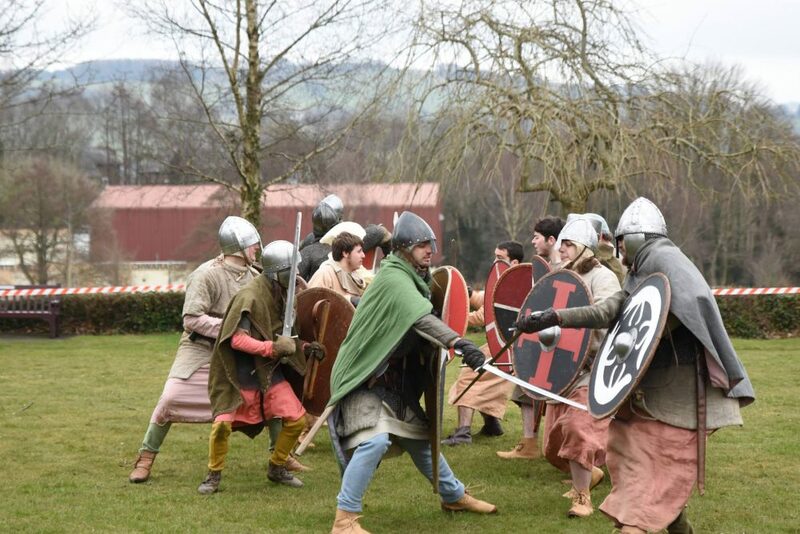 MedSoc re-enacts 12th and 13th century Welsh fighters and civilians, so is definitely relevant for those studying medieval Wales! 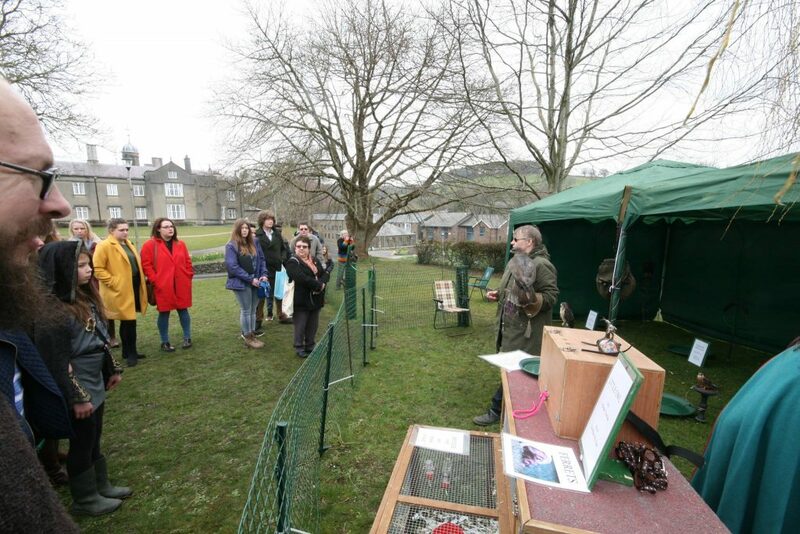 Historia Normannis further provided the day’s Have-A-Go archery stand, which was busy throughout, and even brought along an authentic blacksmith’s workshop! 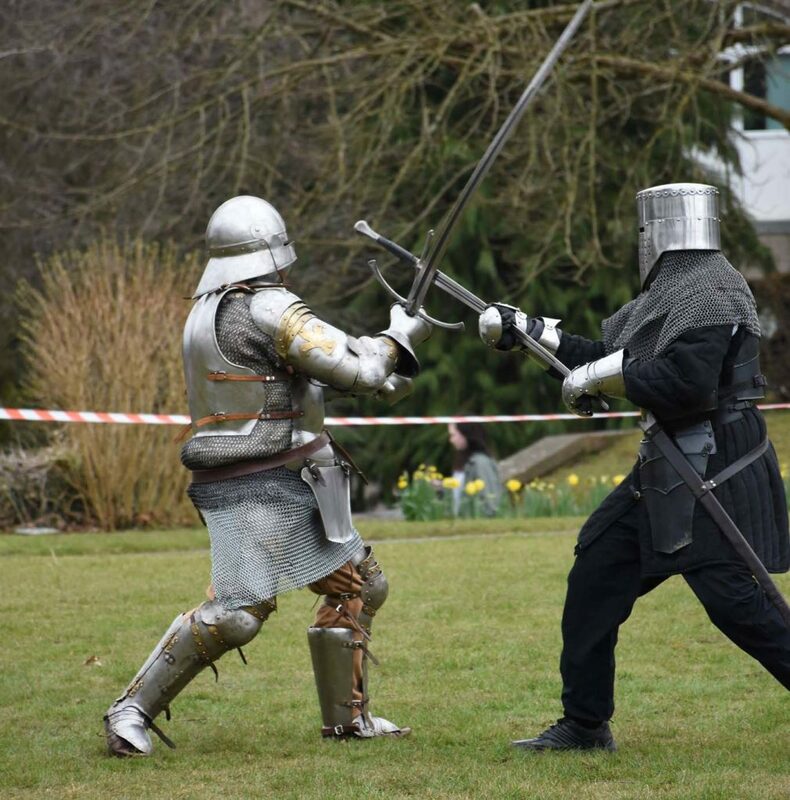 Battle Society gave their displays on 16th century German fencing, and late Medieval armoured combat – with the use of a poleaxe, and a sword taller than some of the audience, both particular highlights! 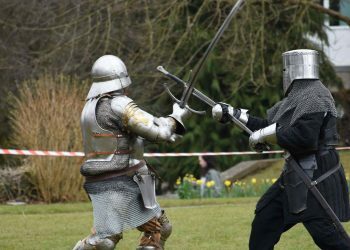 They were happy to have their president fighting in his full plate armour; and had also invited a medieval jeweller along, who did a roaring trade in his custom silverware. A new endeavour this year, the Buhurt Society, did not have a timetabled display; they did, however, offer several small demonstrations of the relatively new sport of Historical Medieval Battle (HMB), and its more full-contact nature. Sadly their numbers were slightly reduced, but that did not dampen the interest shown by several of our younger visitors! And for those of a less physical nature, it was not all reenactment! Cantus Llambed, our University Medieval Chapel Choir, performed several times during the day in the chapel itself – all in Latin, of course – to much acclaim. 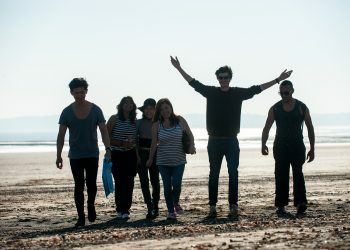 They were asked to lead the opening and finishing procession from the Canterbury building to the chapel, led by Paul Watkins (the event’s organiser). The Falconer was occupied for much of the day with requests for photos with the owls they had brought as part of their display. 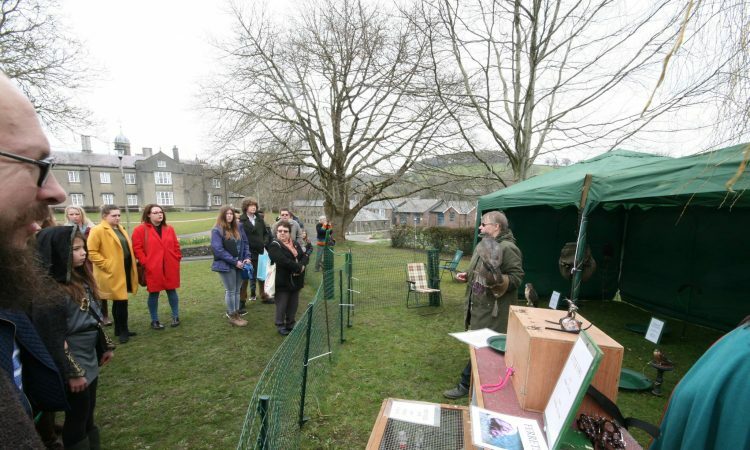 They also found time to give a talk on each of the birds of prey and about their use in medieval society for hunting. There were also several other notable highlights: Dr William Marx gave a presentation as he read from Anglo-Saxon and Middle English poetry and prose, the Mead trader I am assured was very popular (particularly after the fights! ), as was the local handmade woodworker. 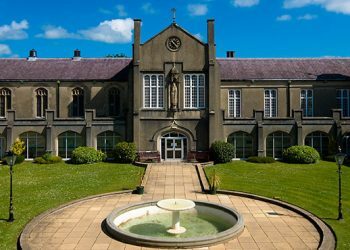 Several manuscripts were also put on display in the Roderick Bowen Archives for the public to examine and interact with. 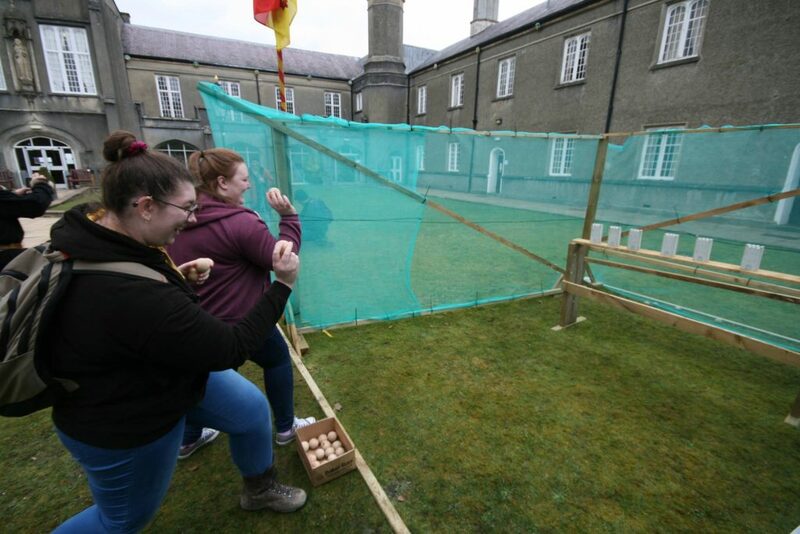 There was even a medieval “coconut shy”! All in all, a very busy day for those of us involved, and the visitors absolutely loved it. It merely goes for me to say a thank you to all of those who took part – and to thank Paul Watkins for organising such an amazing event. Hopefully it’ll be running for many years to come! 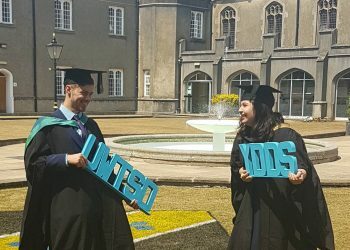 For more information about Lampeter’s clubs and societies, or to find out how to set up your own visit the TSDSU website.